The architectural rendering has become an essential tool for effective communication with the client. The characteristics of the proposal can be visualized quickly through these images. It also allows anyone who does not have connection with the architectural world to understand the project without having to understand the technical documentation of the project. Thus, the architectural renderings are key for presentations to private clients, the City Council, to investors and even citizenship. On this occasion, we are back again in Australia with a new project designed by the architectural firm Rudolfsson Alliker associates architects. The Aged Care Village in western Sydney, the el St Hedwig village. 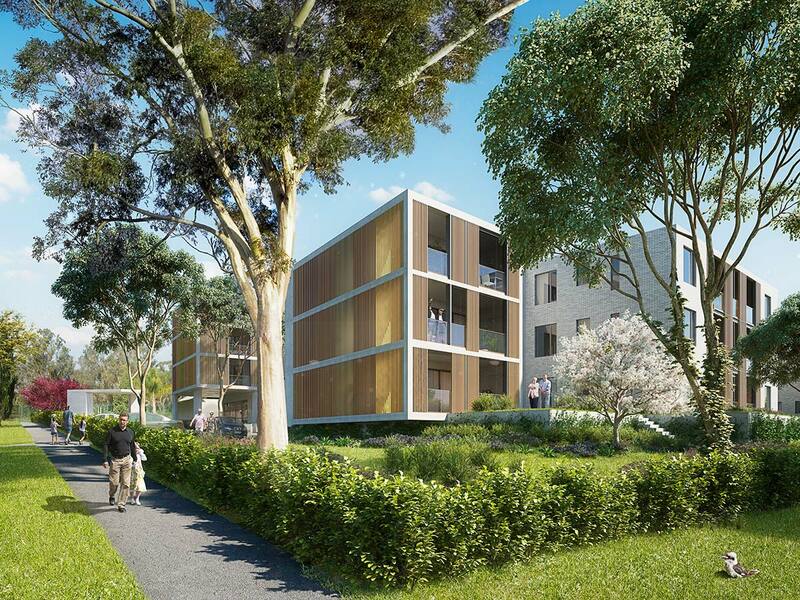 The project is the redevelopment of an existing aged care facility that will provide new buildings containing 135 aged care rooms, 65 independent living apartments and a chapel under the existing hostel building. Initially, the commission included four exterior architectural rendering. To choose the best points of view several frames were tested until find those who best explained the project and were more attractive for the client. Finally, two more renderings were added to the commission. In terms of lighting, daylight in the pictures was chosen since it was consistent with the day use which will take the project. Night lighting was used only in the architectural rendering of the access to the Center. Native vegetation in the area was placed to give more realism to the architectural rendering. 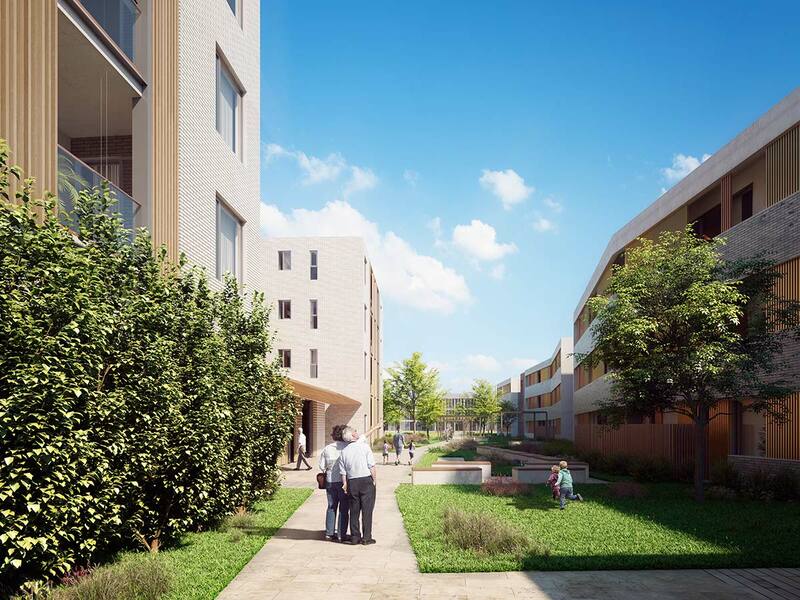 The proposal of the project paid special attention to the green areas. To give the desired interest we populated people showing the atmosphere that will generate the architectural proposal. Architectural office was especially satisfied with the work done and the service received. We hope to be able to introduce new projects of this team of architects that have greatly facilitated us our work thanks to the fluid communication.